How to cure gingivitis at home fast? : Gingivitis means gum inflammation and it is a very common and mild form of gum disease. It causes irritation, redness, and swelling of your gingiva. Gingiva is a part of your gum around the base of your teeth. It happens because of films of bacteria that forms on the teeth and known as plaque-induced gingivitis. You should brush and floss daily at least twice in a day to remove plaque, because it can produce toxins that can irritate the gum tissue, causing gum infection. If this gum disease left untreated can lead to periodontitis, which is more serious and can eventually lead to loss of teeth. Gingivitis is not a serious problem at the initial stage and can be cured by natural remedies at home. 2.1 How long does it take to cure gingivitis? Periodontal disease is inflammation and infection that destroys the gum tissues. This can also effects on your periodontal ligaments, and the tooth sockets. Below cause and risk factor leads you to gingivitis. Hormonal changes in puberty, pregnancy, and menopause can cause your gingivitis. Cancer and cancer treatment can make a person more risk of gum disease. Alcohol disturbs your oral defense mechanism. The family history of the dental disease also increases your chance to have gingivitis. Many people don’t know that they have gingivitis. There is a possibility that you can have gingivitis without any symptom. Below symptoms are the indication that you have a gum infection. Red, tender or swollen gum can be an indication of gum infection. There are many gum infection treatment over the counter available at your home. In your kitchen, you can find many natural remedies to remove gingivitis quickly. Below will let you know some of the best remedies to get rid of gum infection. One of the best and very common home remedy for gingivitis Cure. It has antiseptic and antibacterial properties which make salt good treatment for gum infection. Salt also help to stop bacteria from spreading more. Take one glass of lukewarm water and add a half teaspoon of salt to it. Wash your mouth with this solution in the morning and evening. You can also make a paste of salt and mustard oil. Massage on your gums with your finger or circular strokes and leave it for 2-3 minutes. Wash your mouth with water and do this remedy 2-3 times in a day. Another good remedy for gum infection cure. Sage has anti-inflammatory and bacteria cleansing properties which help to remove bad breath and other symptoms of gingivitis. Take a handful of fresh sage leaf or take a pinch of dried sage, rub it on your infected gum. Leave it for 2-3 minutes and wash your mouth with water. You can also mix sea salt with the sage leaf juice for additional gum cleaning. Turmeric contains curcumin, which has antioxidant and anti-inflammatory properties and makes it a very effective remedy for gingivitis treatment. It also helps to stop gum bleeding, reduces pain and swelling on the gum. Turmeric mouthwash for gingivitis treatment is considered to be one of the best natural mouthwash. Take one teaspoon of turmeric and a half teaspoon of both salt and mustard oil. Make a thick paste of them and apply on your gum. Leave it there for 2-3 minutes and wash with water. Use this remedy twice in a day to get a better result. You can also brush your teeth with turmeric and water paste. Try this home remedy twice in a day for a couple of weeks to avoid gingivitis. Oil pulling is an effective and old way to cure gingivitis without antibiotics. It helps to maintain good oral health and make your gum stronger and bacteria free. Take 1 tablespoon of sesame oil or coconut oil and swish it in your mouth for 15 minutes. Spit it out and then wash your mouth with warm water. To get better and quick result do this remedy each morning before brushing your teeth for 2-3 weeks. Make sure you should now swallow and gargle with oil. Baking soda is the simplest remedy to treat gum infection at home. You can use baking soda paste instead of toothpaste, but be careful–baking soda is highly abrasive. You should use baking soda with olive oil. Take 1/4 teaspoon of baking soda and mix with warm water to make a paste. Apply this paste on your infected gums and leave it on for 1 or 2 minutes and then wash it off with warm water. Do this remedy for 2-3 weeks to get rid gingivitis quickly. You can also brush your teeth with a paste of baking soda and olive oil. Brushing your teeth with this paste regularly to prevent from gingivitis. Clove oil most used the natural herb to cure gum and teeth disease without antibiotics. They have antiseptic, anti-inflammatory, antioxidant which help to reduce a toothache, gum pain, and swelling and stop gum bleeding. Take few drops of clove oil and a cotton ball. With the help of cotton ball apply clove oil on your gum. Do this remedy 2-3 times in a day for few weeks. Chewing 3-4 clove daily can also help to avoid gum infection. Lemon is an effective remedy to fight with bacteria. It has antibacterial and anti-inflammatory properties which help to prevent gingivitis. You can make a mouthwash for gingivitis cure by mixing lemon juice in a glass of water. Rinse your mouth with this solution after brushing your teeth. Do this remedy twice daily to soothe bleeding and receding gums caused by gingivitis. Another way to use lemon juice by making a paste with salt. Apply this paste on your gum for 2-3 minutes then rinse with water. Do this remedy 2-3 times in a day. Another beneficial home remedy to for gum infection treatment without antibiotics. It has antibacterial and antifungal properties that cure gum disease effectively. Aloe vera also helps to reduce gum pain and stop gum bleeding. Take few aloe vera leaves and extract the pulp. Rub the pulp gently on your gums. Keep it on for 10 minutes and then gargle with cold water. Try this remedy 2 times daily until you get relief. Myrhh work as a natural gum and which is a good medicine to cure gingivitis. It has antiseptic property and you can use it as mouthwash, toothbrush and gargle to cure gum disease. It also helps to reduce gum pain and swelling. Mix myrrh in a cup of warm water and gargle with it. You can add a bit of salt in water which makes it more effective. Repeat this remedy 3-4 times in a day in order to make this effective. Hydrogen peroxide is a good way to whiten your teeth and cure gum infection. It helps to kill bacteria that causes gingivitis. 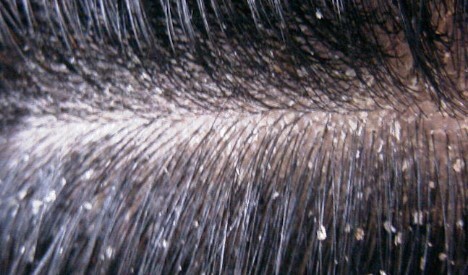 Take only 3% Hydrogen Peroxide so that you can be sure that it is not too concentrated. Then take a half cup of each water and hydrogen peroxide and make a mouthwash. Rinse your mouth with this solution twice in a day for a week. It can take approximately 10 to 14 days to get rid of gum infection or gingivitis. Around 90% of adults in the U.S. suffer from some form of gingivitis. 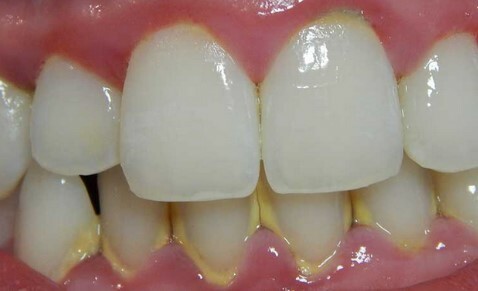 Areas with gingivitis are tender to the touch or may bleed during oral hygiene procedures. Yes, the bacteria that cause the gingivitis that can be spread through saliva while kissing. During a kiss, you transferred around 80 million bacteria which can be good and bad. Bad bacteria can lead you to gum disease. But many types of research has shown that gum disease is caused by the inflammatory reaction to bacteria under the gums, so gum disease technically may not be contagious. Sharing toothbrush can also increase your chances to get gingivitis. Bacteria can easily be passed from person to person by kissing and sharing of the toothbrush. In Ayurveda, this condition is known as high Pitta condition and bleeding from gum is referred as ‘Sheetada’. You can take below ayurvedic medicine and remedies for gingivitis cure at home. Triphala Choorna- This ayurvedic remedy is helpful to improve overall oral hygiene. Taking this ayurvedic remedy can reduce gum pain and strength your gums. Divya Dant Manjan- Baba Ramdev medicine for gingivitis treatment helps to cure gum infection within a week. This ayurvedic powder also helps in the treatment of gingivitis, decayed tooth, cavities, etc. It decreases the chances of getting pain in the tooth due to the formation of microbes. Henna Mouth Wash- This natural herb can be used an effective mouthwash to cure gingivitis. It helps to reduce swelling and stop gum bleeding. Take a handful of henna leaves and boil in 500 ml of water. Strain this solution and let it cool down. Wash your mouth after every meal. Brush your teeth at least twice in a day to avoid gum infection or tooth decay. Floss every day to prevent periodontal diseases. Avoid smoking and stop chewing tobacco. Avoid food which contains a high amount of sugar. Visit your doctor regularly for Gingivitis precautions. Above Home Remedies, Prevention and Ayurvedic Medicine, you can use to Treat gingivitis at home. But in case you have a very serious kind Periodontal or gum infection we suggest you visit your dentist. If you have any question and suggestion for us please don’t hesitate. We are here to serve you the best possible by providing gingivitis (gum infection) cure Naturally at Home. Thanks for sharing these home remedies to cure gingivitis. It is good to know also that lemon is the not only serve as a juice but serve as a remedy to fight bad bacteria in our mouth.